DESCRIPTION Stunning Empire Custom Homes Executive Property featuring 6600+ sq. ft. of designer living space on mature perennial SW corner lot. 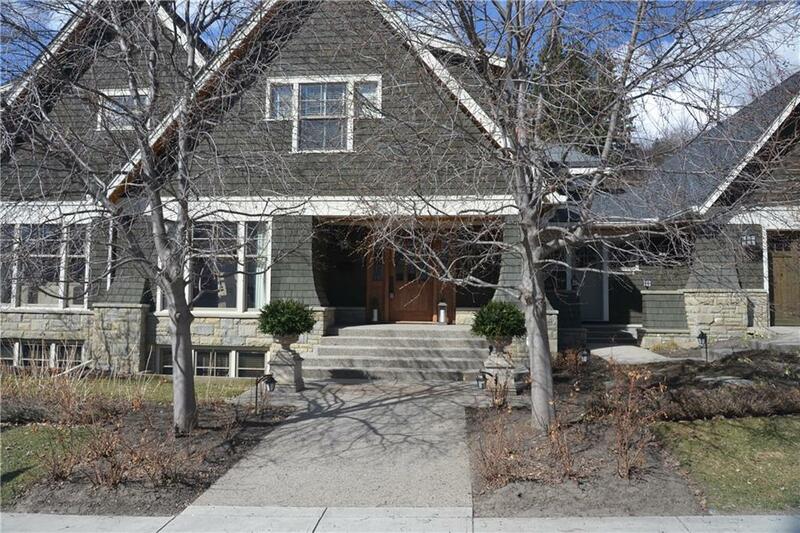 Perhaps one of the finest curb appeal properties in Elbow Park, this gracious home will not disappoint. Grand formal foyer & feature staircase. Large central great room with custom millwork wrapped in natural light with floor to ceiling windows & sandstone surround fireplace, open to Gourmet Kitchen with professional appliances and exemplary custom pantry. This open layout offers French Doors to Outdoor Sandstone terrace overlooking the large south lawn. Elegant formal dining. Coveted His & Hers Main Floor Offices. Upstairs, four huge bedrooms all with custom closets, including master suite with lovely spa ensuite bath. Upper level laundry with dual washer/dryers. Lower level is professionally developed with Media Entertainment & Games Room, Full Gym. Fifth bedroom & full bath, perfect for guests or live in caregiver. Dream Mud Room with custom lockers & half bath, with access to a Full Outdoor Sport Court. Prime location, just steps to parks, top schools, and minutes to downtown. Shows 10/10, must view!